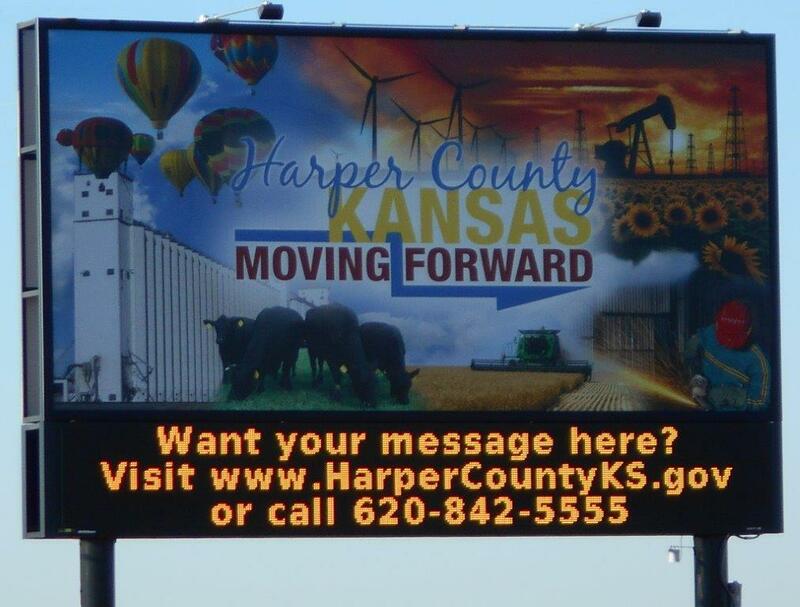 Harper County is proud to serve its citizens with an electronic Community Information Sign, a variable message board located at the intersection of Highway 160 and Highway 2. The sign was funded from oil and gas lease monies, is owned, maintained, and operated by Harper County. The sign features a 12' x 24' banner that can be customized for special events. This is available to those that need a longer term message. Contact the County Clerk if interested. County business and other events may take priority, there is no guarantee your message will be displayed. Perpetually running messages are not allowed. Harper County reserves the right to edit and/or censor any message request.